Often times, it takes tragedy for us to reconnect to our human emotions, and with each other. It takes shock and awe for us to put aside our differences and focus on what we have in common. As the East coast suffers through one of the worst hurricane seasons ever recorded, much of the West coast is on fire, with nearly 80 separate wildfires burning and releasing heavy smoke into the atmosphere. The largest earthquake in over a century just struck Mexico, only to be followed by Hurricane Katia. We are still in the early stages of recovering from Hurricane Harvey, and Irma continues to devastate the southeast. Needless to say, schools have been cancelled. Many do not know when they will re-open. In times like these, grades are not important. Test scores are irrelevant. Homework? Forget about it. But the community surrounding a school has never been more important. That community will feed each other, find shelter for their neighbor, provide comfort to one another. They will reminisce together, they will cry together, and they will rebuild together. But it’s not enough to reserve this behavior for tragedies, which afflict our country with increasingly alarming regularity. The entrenchment and division seen in the wake of Charlottesville or the decision to rescind DACA is that same division that halts progress on education, climate change, and healthcare. We will never bridge these gaps until we rebuild our emotional foundation. The residents of Texas and Florida have exemplified the best in us following tragedy. We’ve witnessed rescue workers, police officers, and everyday citizens risk their own safety to carry the elderly out of their homes and wade through deep waters to get children to safety. We’ve seen an outpouring of support throughout the country by way of kind words, donations, and care packages. Regardless of where these tragic events occur, we must recognize the American tragedy we are all suffering through and tap into the same energy. Our problems have become too great to tackle as individuals, as races, as religions, as political parties. Only together can we rebuild understanding, trust, and empathy. 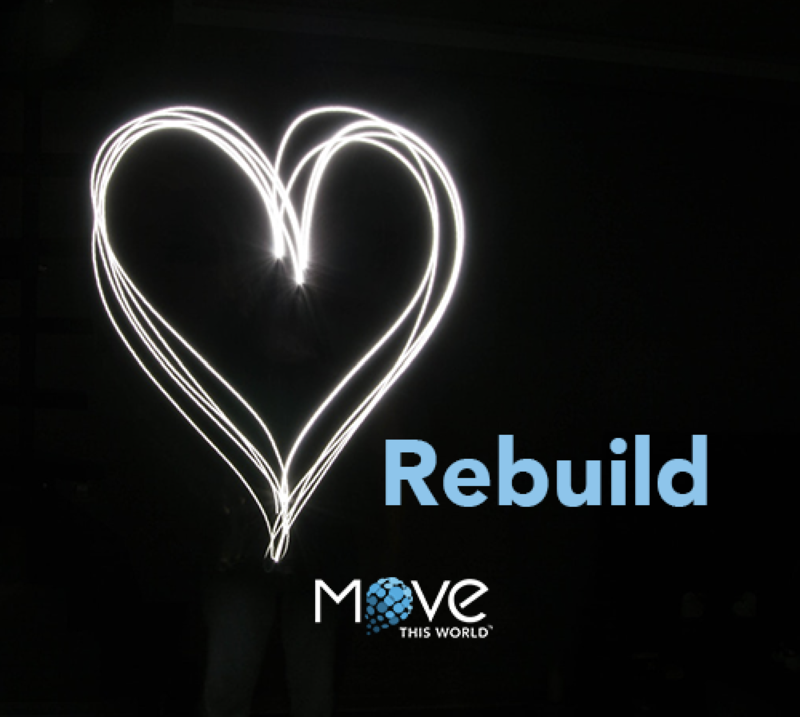 Without them, the physical structures may be rebuilt, but the communities will not. Only together, can we Move This World.